At some point or another, each of us has had the need to raise a substantial sum of money on short notice. You can vouch for the fact that at such times finding the right legal lender can prove to become quite the hassle; someone who can give you the loan as fast as you need it and at affordable interest rates and payment plans. However, because of us, you no longer have to worry about getting your loan, whatever type you may need, and getting it quick and cost effectively. Our team of experienced professionals endeavor to provide a much higher level of service and support that our clients can’t get anywhere else. Our credibility and reputation advocates itself; we offer the best value combined with the support of our creative minds to create a lending solution that accommodates your needs or the needs of your business. 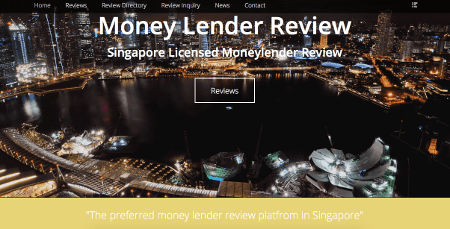 We are a legal money lender in Singapore, licensed with the Registrar of Moneylenders, and our customer satisfaction scores are very high, both of which are things to be on the look-out for with a desirable moneylender. Your personal information will be treated with the highest level of discretion, and our lending rates and repayment plans are flexible to tailor a solution best fitting to your needs. We comprehend that time is money, and you can trust us to deliver on promises, so just relax and enjoy the kind of service every customer only dreams about. We composed of a core group of professionals that deliver loans to suit to all your needs. Apply a loan or call with us today for a non-obligation discussion on getting your loan application. Do you hope you could get fast access to a loan for your education loan in another country? Whether you need a large sum of money for school fees or to invest in an asset or smaller sums for emergencies arising such as renovations, fast cash or foreigner loans, we are your go-to lender in Singapore. Our Loan assistants are knowledgeable and friendly in the field of money lending and will be able to advise you how to go about getting your loan.